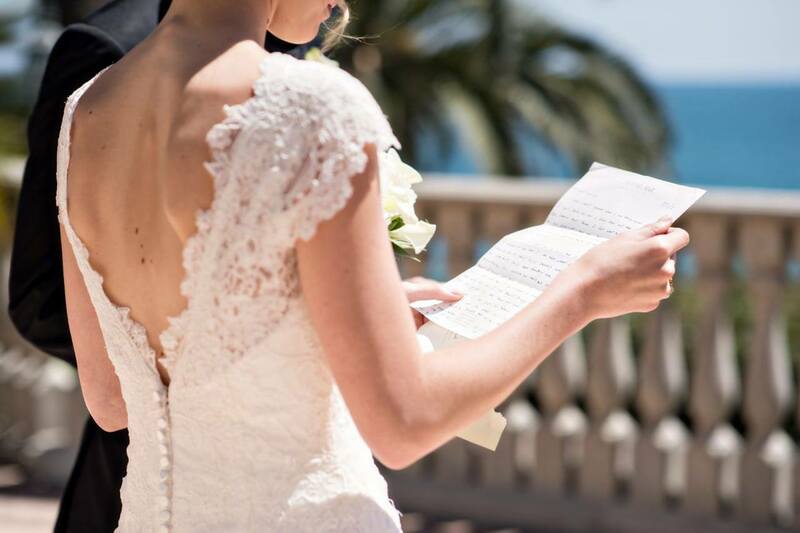 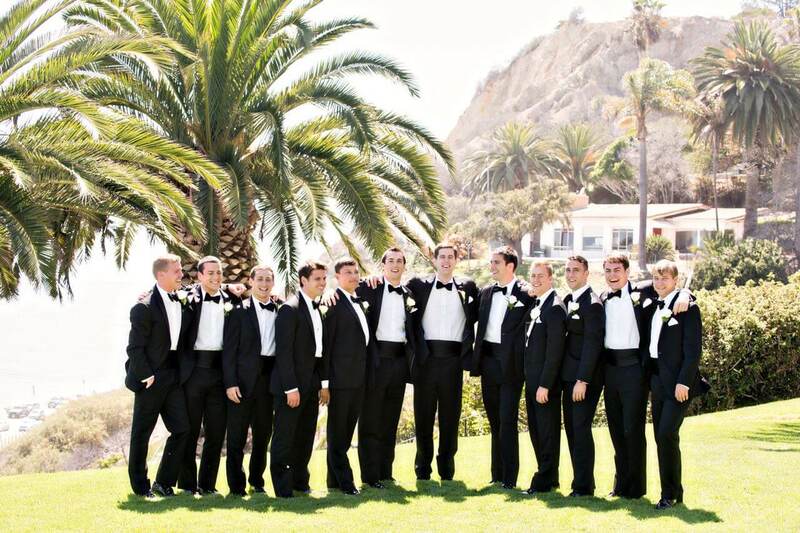 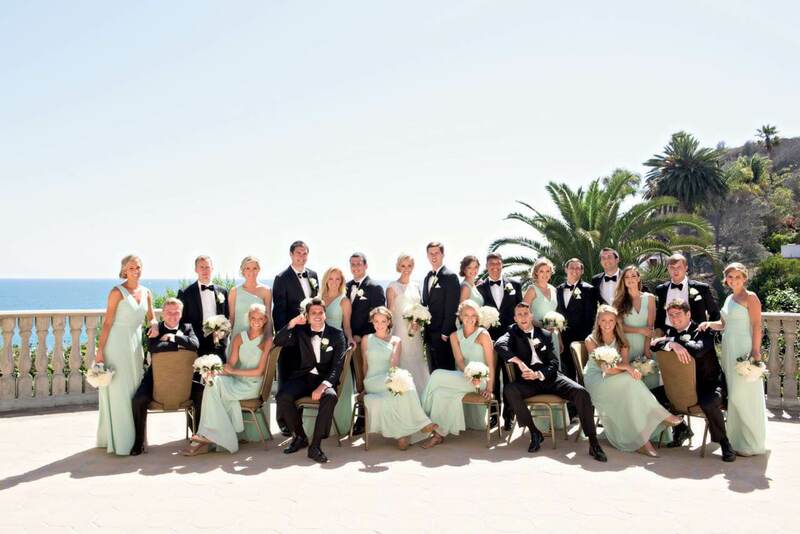 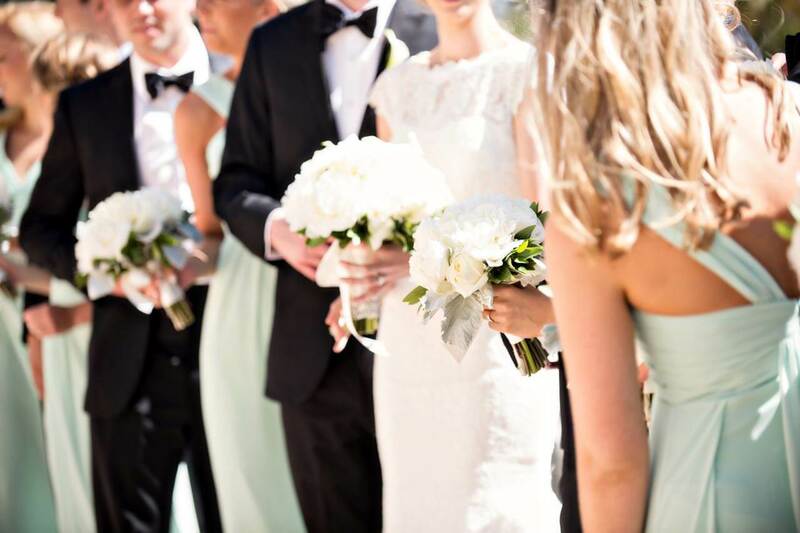 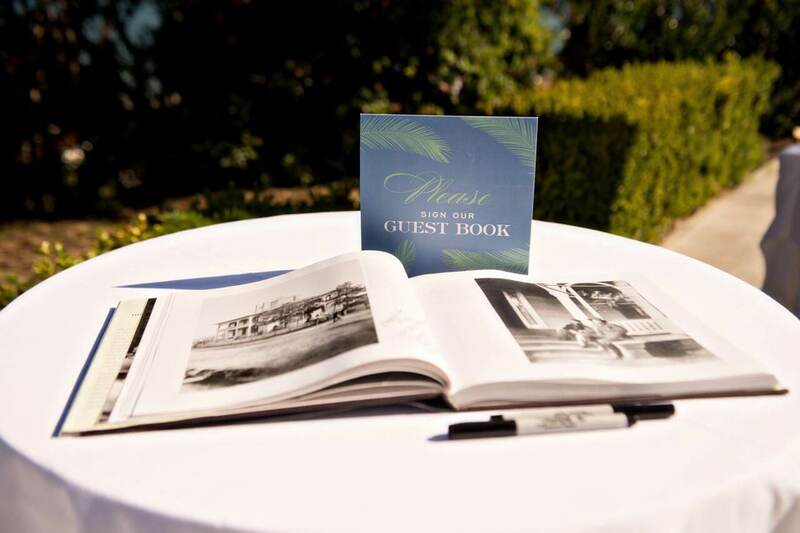 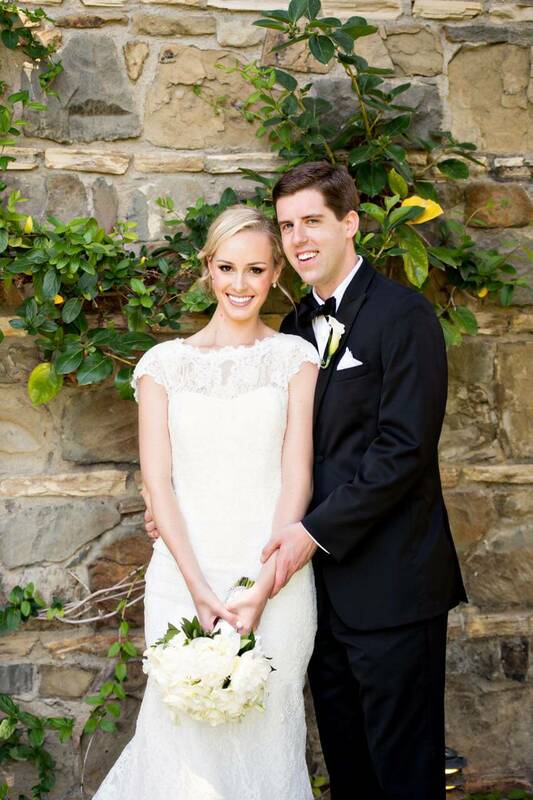 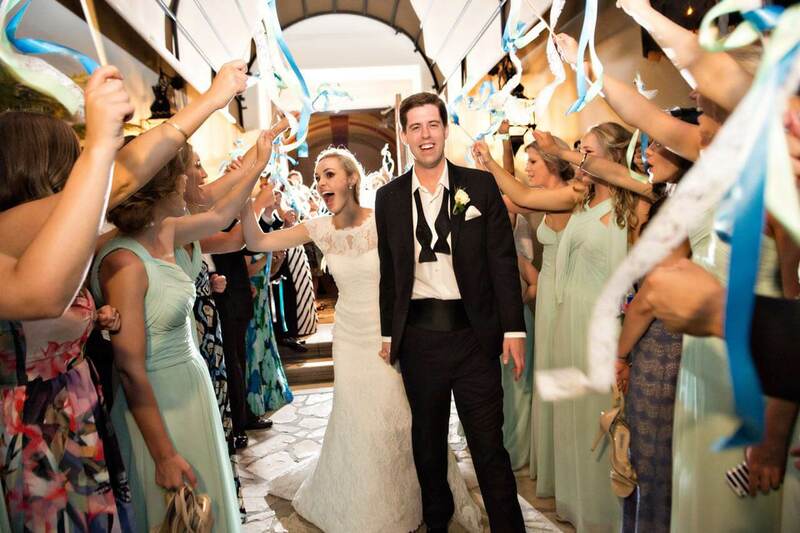 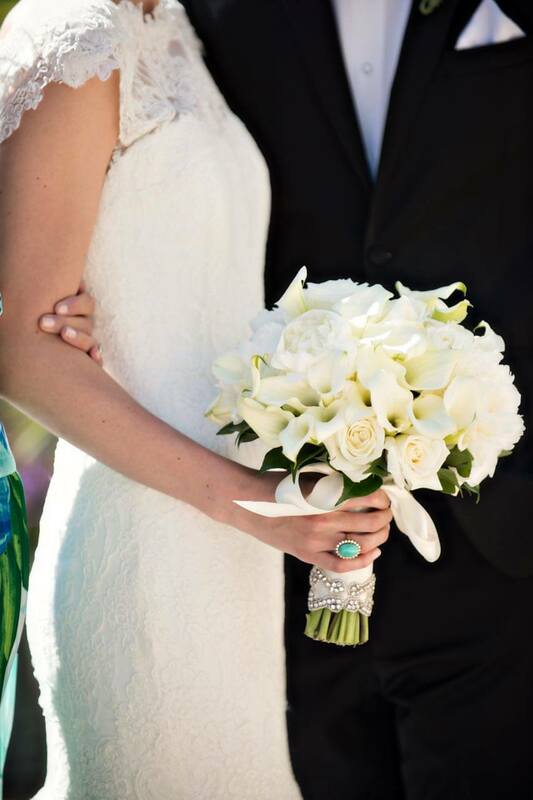 As a life-long member, Melissa had always dreamed of having a Bel-Air Bay Club wedding. 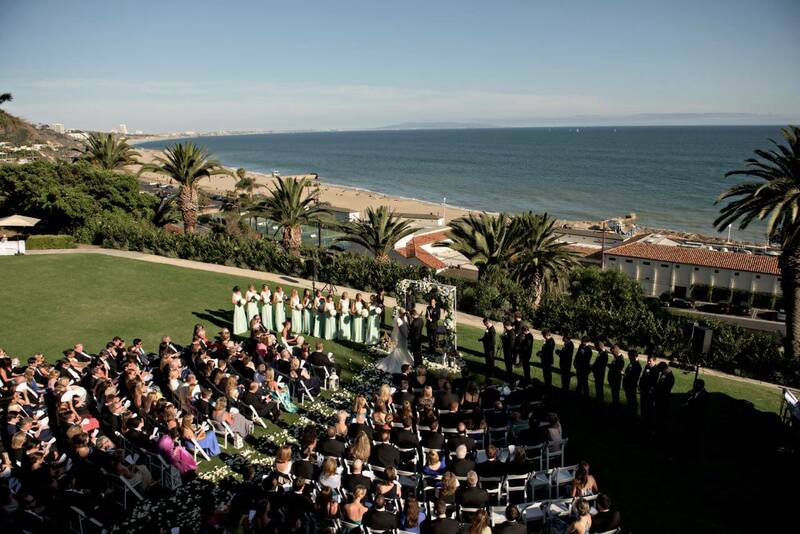 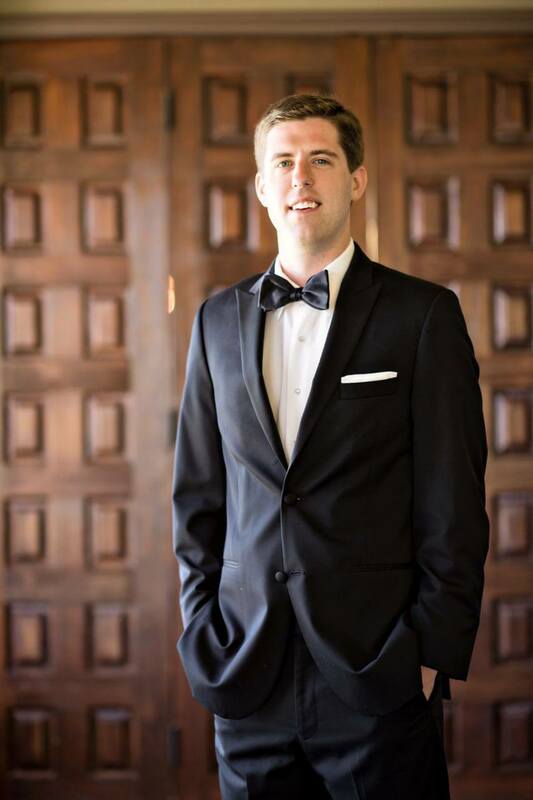 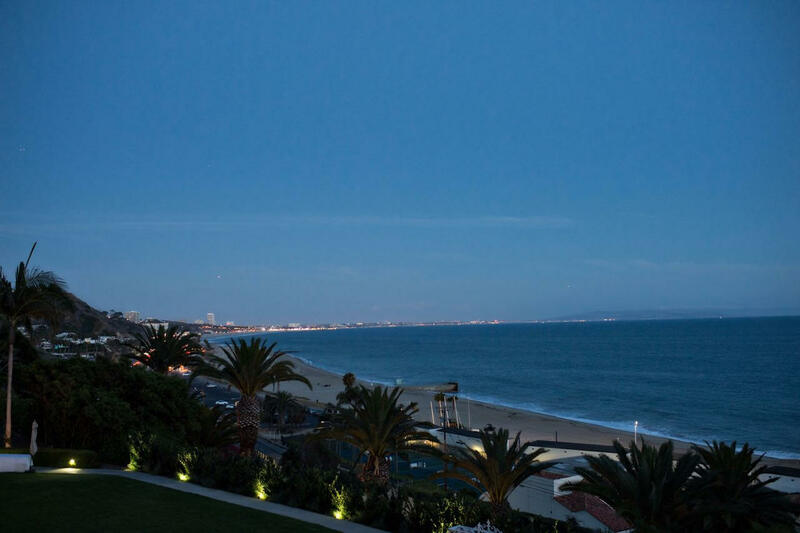 So, when Jeremy popped the question,the plans began for this oceanfront California venue. 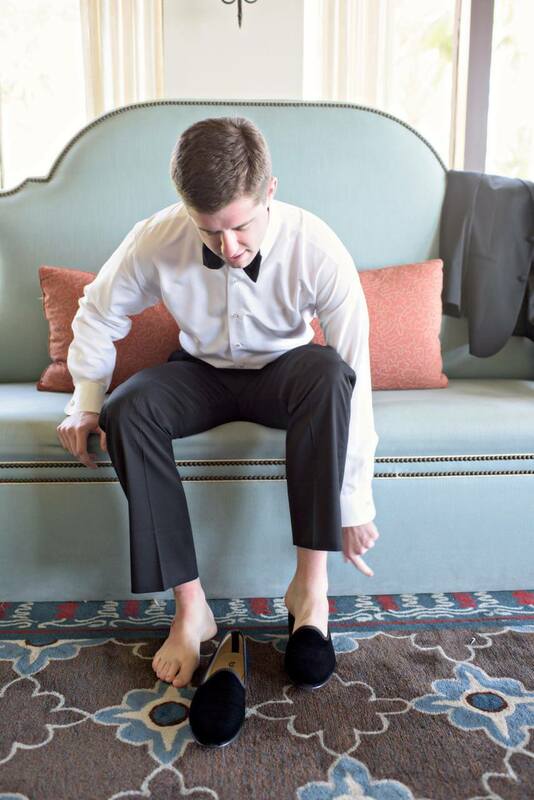 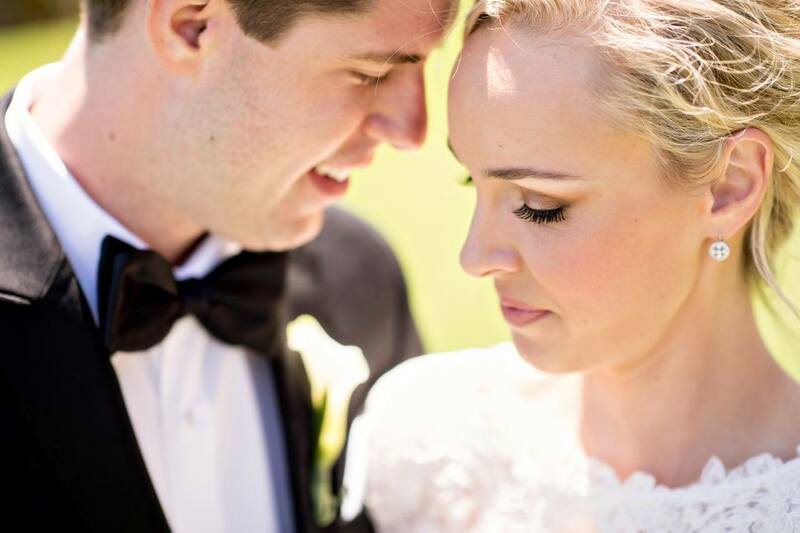 Since both the bride and groom attended Southern colleges and currently reside in Atlanta, they came to us for help putting a preppy and southern spin on their traditional black tie beach wedding. 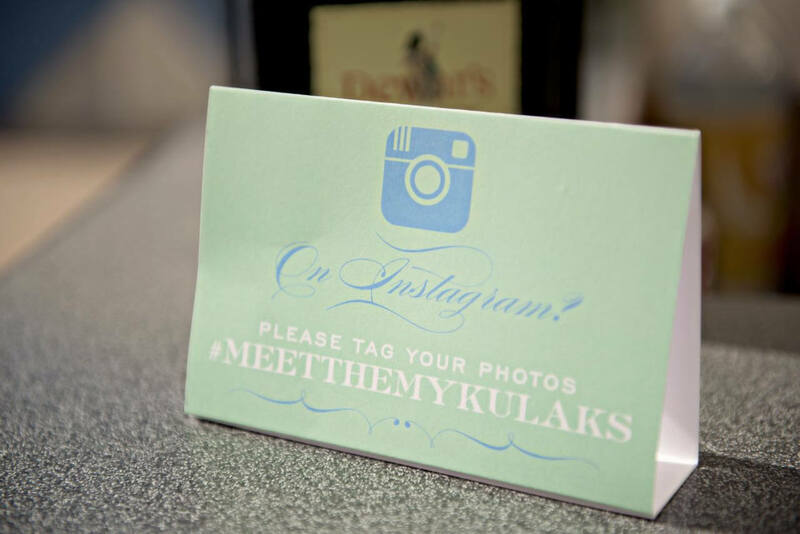 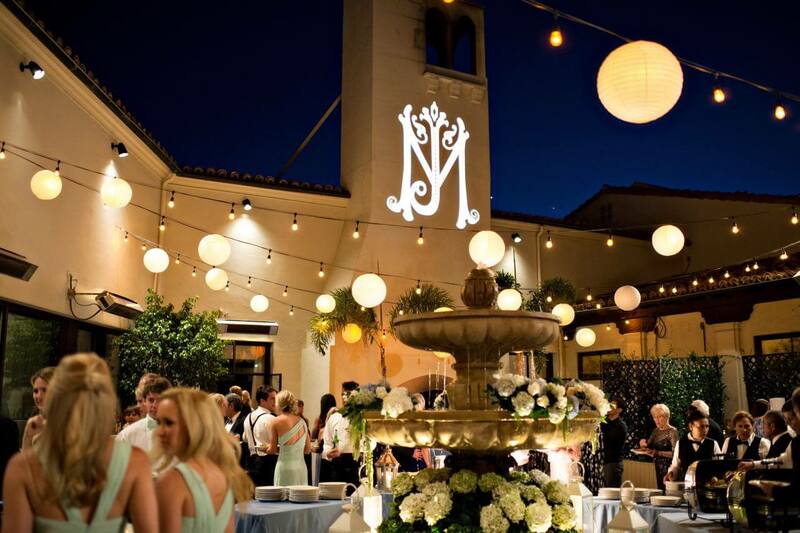 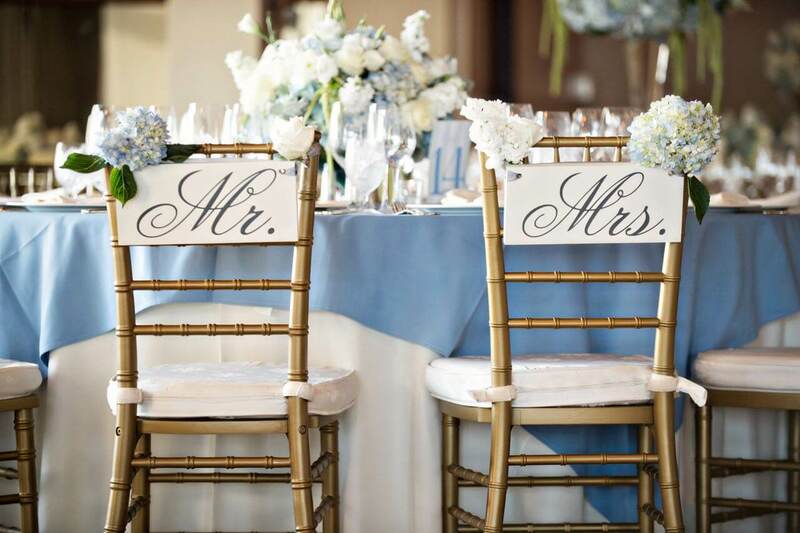 The couple’s interlocking wedding monogram set the tone for this timeless event. 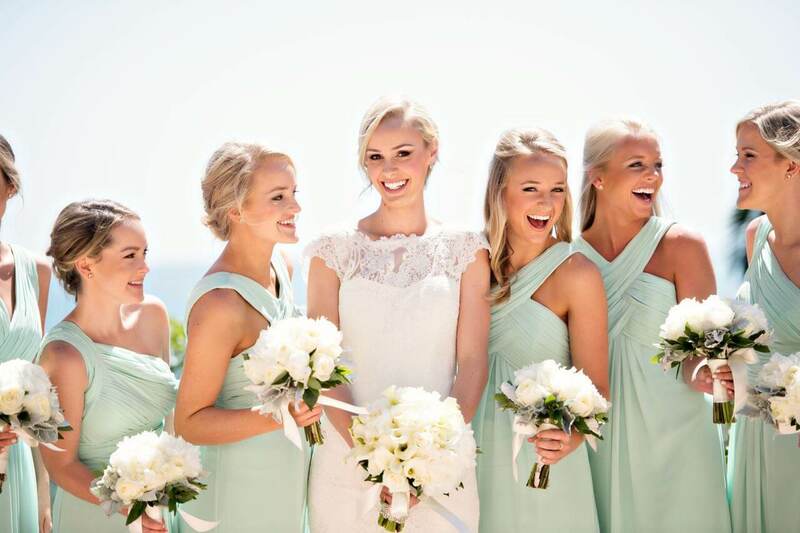 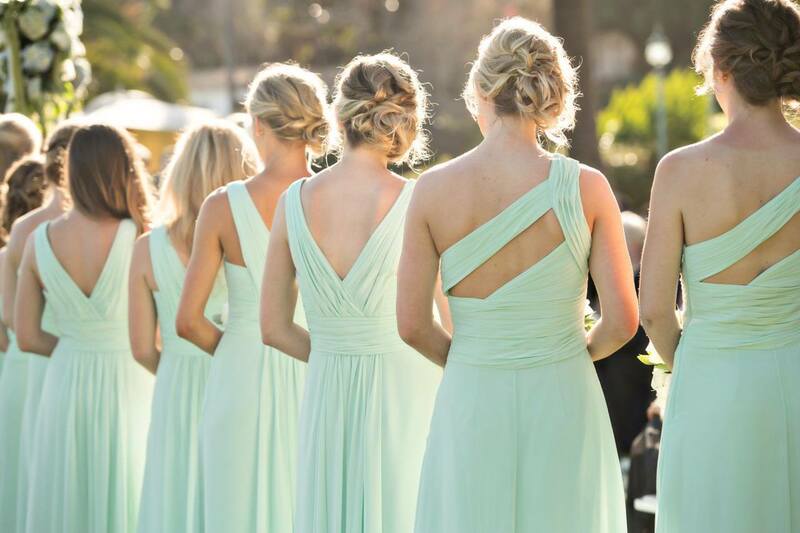 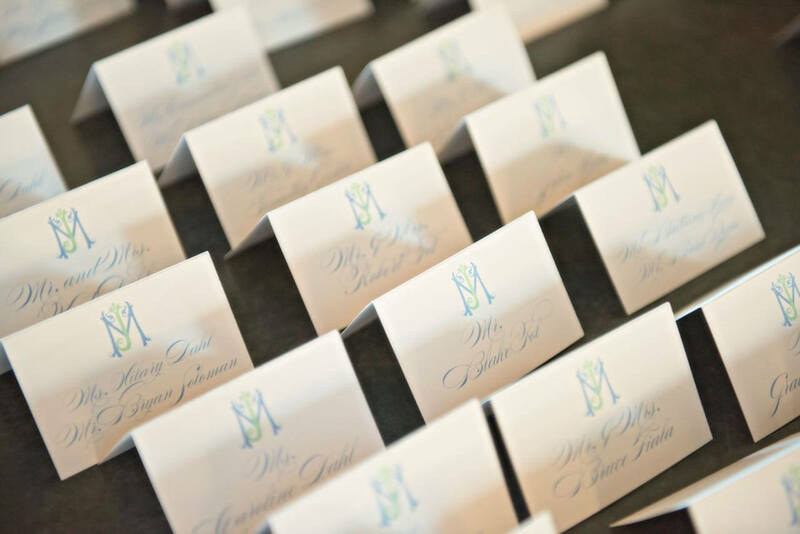 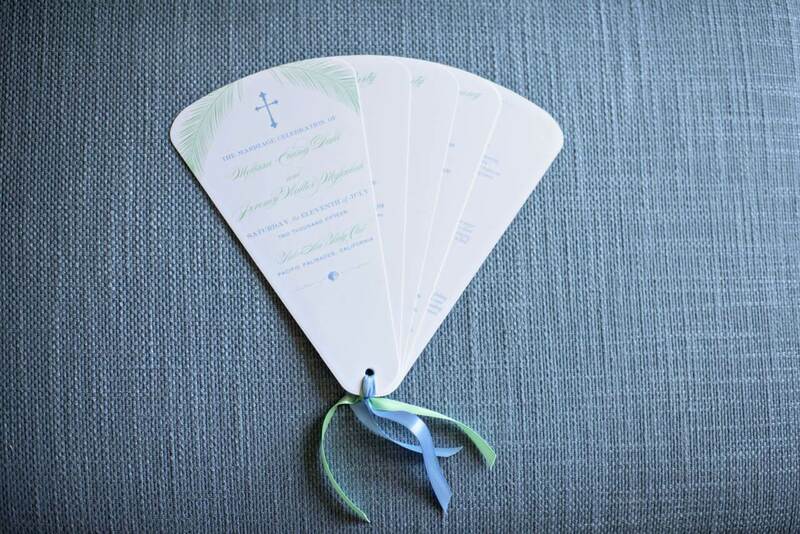 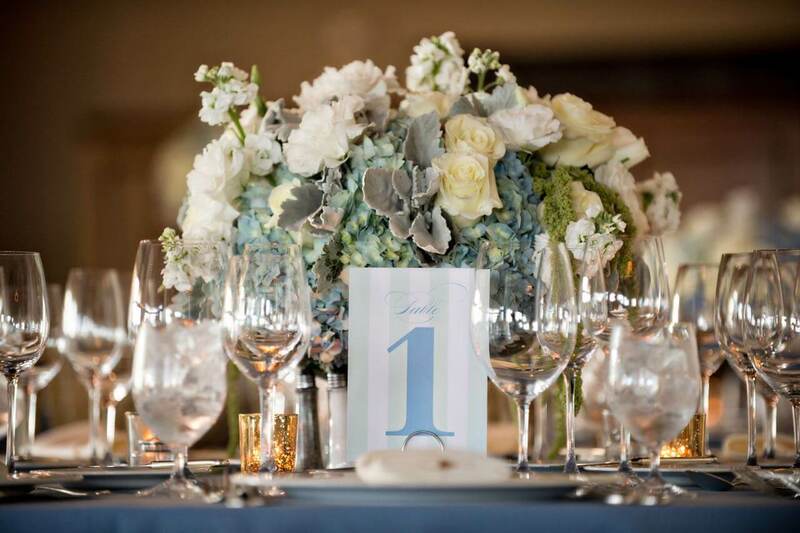 By combining a traditional monogram with their beachy wedding colors of cornflower blue and sea green, the result was a perfect balance of coastal chic with a modern twist. 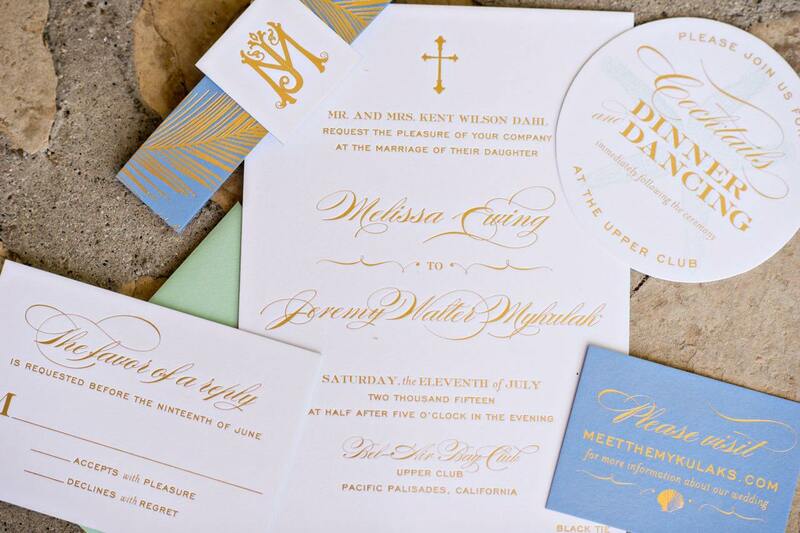 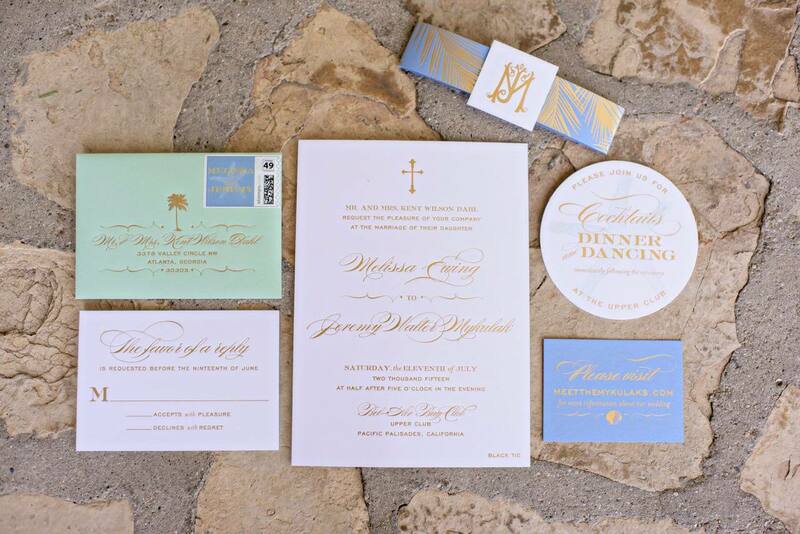 Melissa and Jeremy’s custom wedding invitations, were foil stamped in gold and edge painted in the cornflower blue. 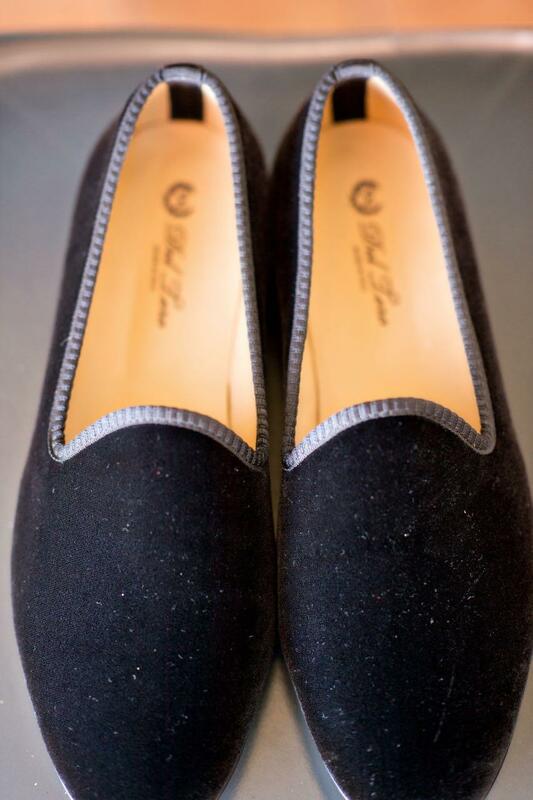 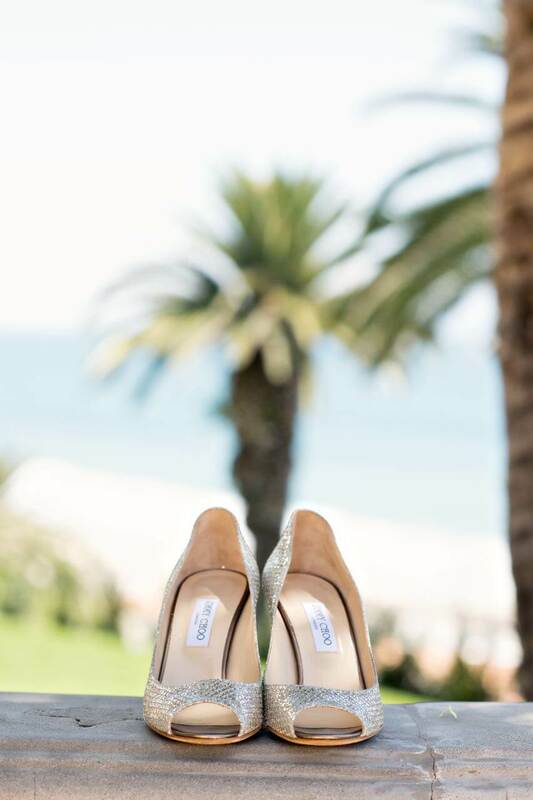 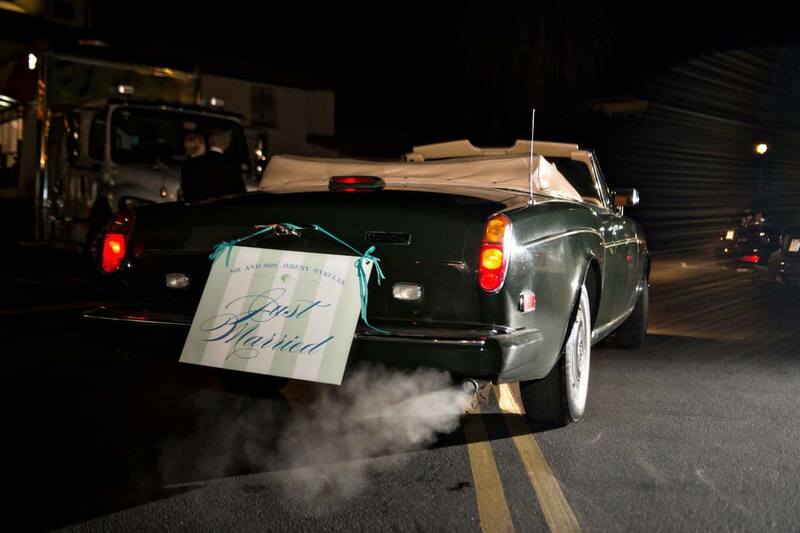 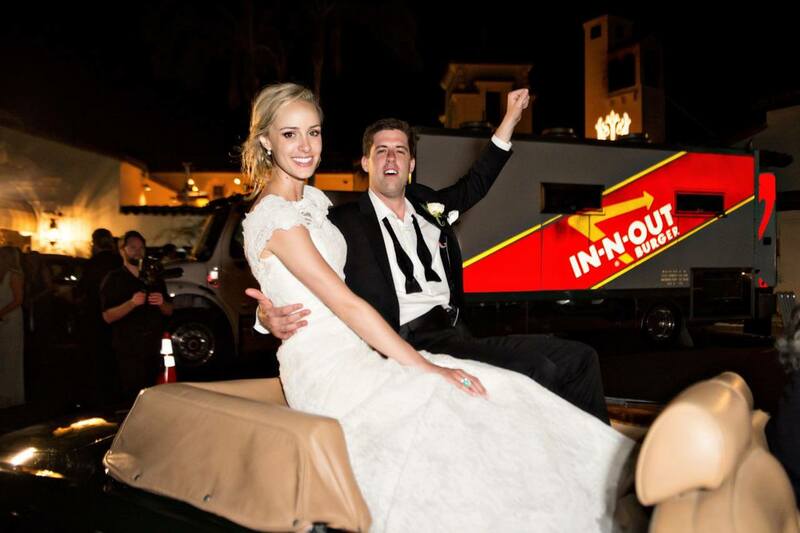 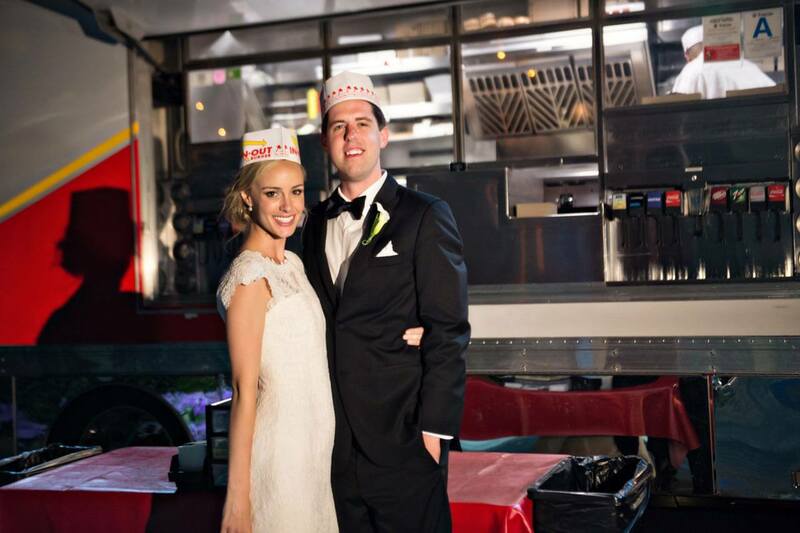 We thought this was perfect for their Bel-Air Bay Club wedding. 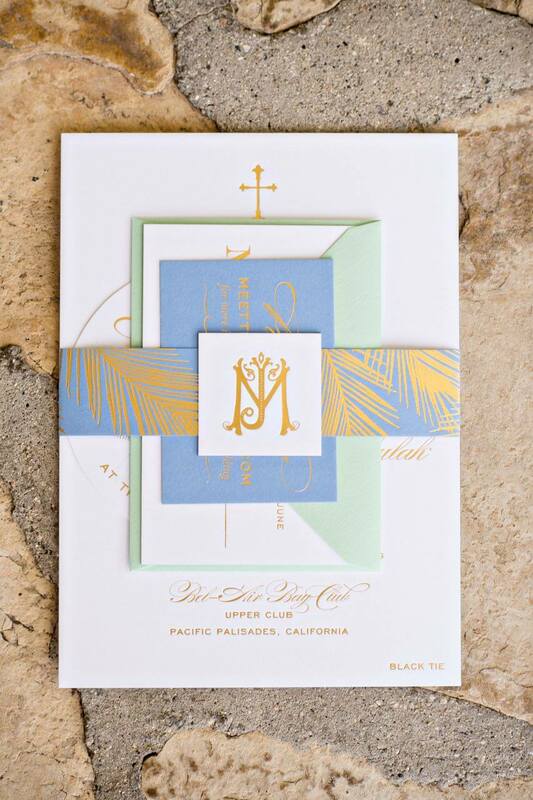 The palm leaf pattern was foil stamped in gold on the envelope liner and belly band for a dramatic effect. 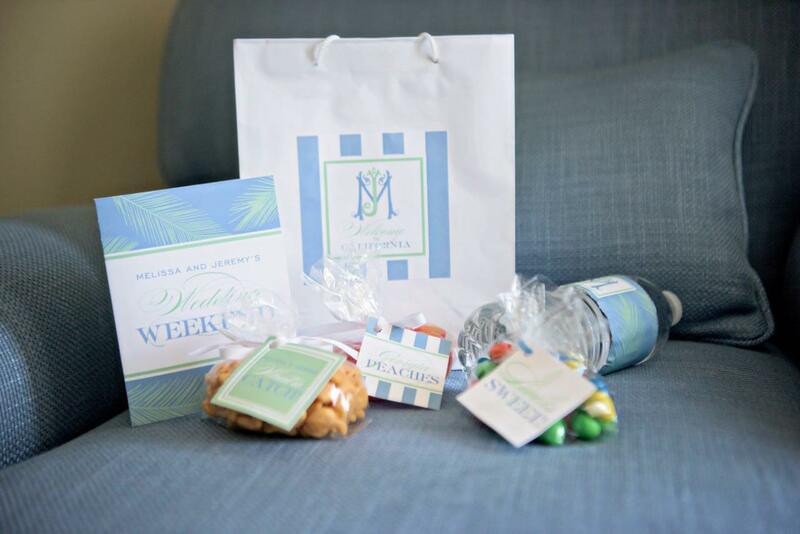 Melissa and Jeremy’s Bel Air Bay Club wedding was the perfect mix of west coast flair and southern, preppy elements!